Winifred once languished in style limbo. 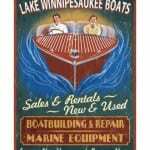 But could this 1910s favorite be ready for revival? Thanks to Lola for suggesting our Baby Name of the Day. If you grew up watching Kevin crush on Winnie on The Wonder Years, it might come as a surprise that her given name was Gwendolyn. Then again, Gwendolyn makes more sense. It hovered just outside of the US Top 100 in the 1940s and 50s, and the show took place during the 1960s. Other famous Winnies include AA Milne’s lovable, huggable, stuffed-with-fluff bear; a twentieth century comic strip character; and a witch from children’s books. Most recently, the name made headlines when Jimmy Fallon and Nancy Juvonen named their first daughter Winnie after Lake Winnipesaukee. In the age of Sadie, there’s no question that Winnie stands alone. Head back farther in time, and Winnie gives way to Winifred. In the 600s, legend gives us a beautiful maiden by the name. She chose to devote her life to God, except she caught the eye of a local nobleman. He sent flowers and sang beneath her window, but she still refused his advances. And so he lopped off her head. As her blood spilled, a spring formed. Her uncle – a future saint himself – restored her to life and she became a nun as planned. The nobleman died shortly afterwards. For centuries, the mighty and the downtrodden alike have visited Saint Winifred’s Well in Holywell, claiming that the waters possess healing properties. Unlike some tales of virtuous maidens, historical evidence suggests that a woman matching Winifred’s description actually lived. Her name might have been Gwenfrewi in seventh century Wales. The first element means fair; the second is less certain, but might mean peace. Whisper Gwenfrewi down the alley, and it becomes the Latin Winefrida, and eventually takes the form we know now. The name fell out of use, but the saint kept it alive. Her bones were transferred to Shrewsberry Abbey in 1138; Henry VIII destroyed the shrine in 1540. Her well is mentioned in the fourteenth century Sir Gawain and the Green Knight. Weaver-turned-novelist Thomas Deloney included a version of her story in 1584’s The Gentle Craft. Forty years later, playwright William Rowely adopted Deloney’s work for the stage. Poet Gerard Manley Hopkins studied at St. Beuno’s College in Wales, so it is little surprise that he started a drama titled St. Winefred’s Well in the 1800s. It’s the full name of brainy scientist Fred Burkle, played by Amy Acker, on Angel from 2000 – 2004. Classic children’s novel Tuck Everlasting includes Winnie Foster. Alexis Bledel played Winnie in a 2002 movie adaptation. It’s also a character name in 1993’s Hocus Pocus, and 1964’s Mary Poppins, both Disney movies still well-watched today. Today, the name fits right in with the next wave of revival choices. If you love Alice and Beatrice and Frances, it’s not much of a stretch to get to Winifred. The numbers bear this out. In 2010, parents gave just 22 girls this name. By 2015, that number had soared to 156 newborns. Winnie gives us even more to talk about. In 2010, there were 76 newborn Winnies. By 2015, the numbers nearly tripled, to 211 girls. Since names often rise together – think of the Coras or the Lilys – I think we’ll hear more of both in the coming years. What do you think of Winifred? Is it likely to make a comeback? 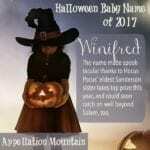 Halloween Baby Names 2017: Witches Win! Not my favorite, but definitely a great name. Sounds almost Scandinavian or something. My middle name is Winifred after my grandmother who was Gertrude Winifred. 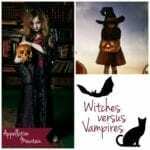 She also had a daughter, who I had always been told was named Christina but in researching my family I discovered her actual name was Winifred Ann. She passed away before my dad, her brother, was born. I love the fact that inadvertently my parents reversed my aunts initials of W.A. for me, Arika Winifred. When I was young I hated my name, both Arika and Winifred. In fact my older cousin used to tease me by calling me Winnie. 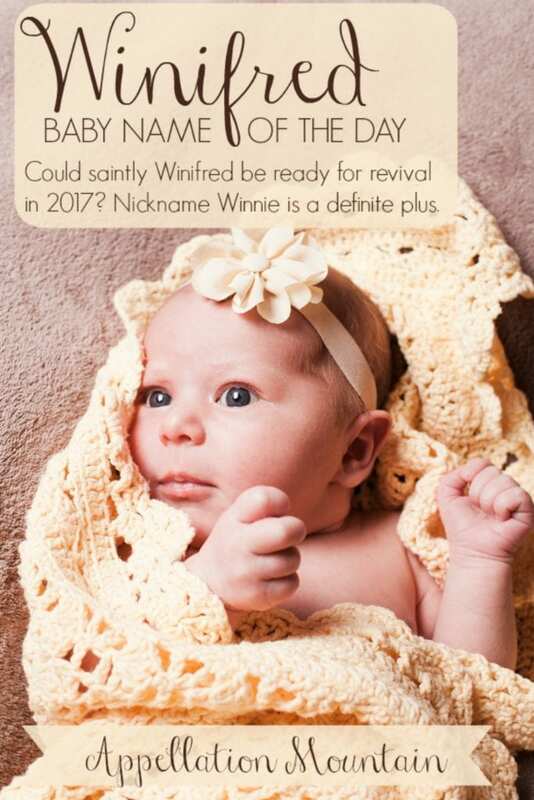 Now I love the name Winifred and would not hesitate to pass it on to a daughter. I would not even let the the fact I am not a huge fan of Winnie or Freddie as nicknames, because I know sometimes nicknames have nothing to do with names. After all I have people in my life that pretty much call me Mowse(mouse) and not much else. I am 18 weeks pregnant right now, and we’ve chosen Winifred if the baby is a girl. But this article is suddenly making me second guess myself! A few years ago, we named our daughter Emmeline, which at the time was not in the top 1000. Only it made the list the next year and has been rising quickly. By the time she’s an adult there will be Emmelines all over – just a few years younger than her. Kind of defeats the purpose of choosing a rare name. I had hoped Winifred was safely obscure. I’ll probably still use it (for a girl) and hope it doesn’t rise too quickly, because I love love love the name. I adore the name Winifred. I think it would be a great way to honor both of my grandfather’s Alfred & Wilfred. I can’t believe that I ran across this discussion about my name” Winifred”. My father was named Willie and my mother wanted something similar. When I was younger, I didn’t appreciate it as much. My mother tried convincing me that my name was of royalty, which helped me to accept it. After reading all theses replies, I’m sure that my parents made the proper decision by selecting such a strong and beautiful name. Thanks to all of you for the reassurance! St Winifred also shows up in the Brother Cadfael series by Ellis Peters–the first book in the series, A Morbid Taste for Bones. I too wanted to add to the discussion since my 11 month old is Winifred Charlotte. Winnie is her paternal paternal great grandmother and Charlotte is her maternal maternal great grandmother. 😉 We love family names and I especially love whimsical older names (If my husband was on board she would have been Fern(ie)!) Thank you for sharing the origin of the names. It is going to be a fabulous bedtime story (although we’ll have to change some details). We always get such wonderful comments about her name since she is truly and joyful baby with a happy name. I think it was meant to be! I just had to add to the discussion because I have a 14-month-old daughter named Winifred and she goes by Winnie (although her dad likes to call her “Freddie”). We were —> <— this close to naming her Iris, but two nights before she was born, we mistakenly ran across Winifred in a baby name book and we looked up at each other knowing we both loved that name! There's no real family tie; we just love the name. I do, however, also LOVE the name Gwendolyn ("Winnie"). My little girl gets a lot of flack for her name at only 14-months, though. The teachers at her daycare call her "Pooh-Pooh" and I don't really care for that. =( Of course, it doesn't help that she's super juicy (read: big) and her little cheeks stick out to forever… so, she does kind of look like a little "Pooh Bear!" LOL! My 18 m.o. is a chunk, too. But so was her big brother, and now he’s a bean pole. Winifred is a great name, and I love the nn Winnie – and Freddie, too! I think my favorite thing is how unique it is. I want to like this name…I just don’t. I adore Wynn for a boy, adore. It’s rich in historical family significance and sentimental value for me. I think nothing would be sweeter than calling a little boy Wynnie (the pooh!). Any chance we could ever have Wynn (for a boy) as one of the names of the day? Thanks, Abby. The history of this name is fascinating to me, especially since it’s slightly murky. Just saw the Oscar’s post on nameberry! Congratulations!!! Great idea to devote the post to the boys alone, I think. They can get short shrift with the variety of leading ladies to choose from. Great job!!! I like Winifred, but adore Winnie. I think I’d more likely use Guinevere or Gwendolen to get it, but I don’t think Winifred gets nearly enough love. As Lola mentioned, Freda is a great nickname, and the name as a whole has a pleasant sound. Yay for Winnie’s warm reception. There is the Pooh business – I’d like to think it can be overlooked, though. Elisabeth, I can’t trace the link as neatly as I would like, actually. It’s pretty clear that Gwenfrewi became Guinevra in Latin from early days – thanks to the church, of course. Apparently, when English speakers heard Gwenfrewi they assumed it was a feminine version of Winfred. Etymologically speaking, I suppose they’re false cognates, though, because they’re not related. Winfred is Old English. I spent some time squinting at Old English pronunciation guides, but I’m out of my depths on this one. Along the way, I did pick up this interesting fact – the most common medieval Welsh name using the element gwen was apparently Gwenllian, which I kind of love. I had NO idea about the “win” bit, Charlotte! Thank you for that – now that you mention it, I know a Vincent probably named for that reason. But I’m confused, Abby. Could you elaborate a bit on the Gwenfrewi vs. Winfride origins? I see that both “frewi” and “frede” mean friend, but are the first parts derived from disparate places? Is it a case of one name morphing into another, as was so often the case? I love that Guinevere and Jennifer and Winifred are all related. Who woulda’ thunk it? (I knew, but I’m obsessed with these things). Oh, Winifred has a very fresh sound to me. I was fostering a kitten whom I named this, so I just can’t see anything stern or musty about her; rather, she’s whimsical and young, without being flighty. Winnie is adorable. I love Winnie. I would love to BE a Winifred. I just don’t see this name on a child. Winifred doesn’t exactly have that young vibe to it does it? Still, its on my list. I adore Winifred. I must admit, assocation won me over, I didn’t like Winifred 12 years ago but then my Uncle Skip married one and the rest is history. I love her stern look but pretty sound. Neat to know about why she seems so popular in Chinese American circles (yep, here too, Charlotte Vera!) Also Koreans seem to use names like Winifred for the same reason. Either way, I find her absolutely beautiful and she remains in my top 4. The adorable Winnie is just an added bonus, the option of Freda, is another enticement for me! For the record, It never crossed my mind that Winnie of “Wonder Years” was anything but Winnie, she who has cousins born in the late 50’s early 60’s named things like Ricky (b), Billie (g) and Tammy (g). Just that, on their birth certificates. So sad! So Winifred’s just awesome in my book! I know three people named Winnie, and at least one of them claims the full name “Winnifred”. It’s actually a very popular name for the children of parents from Hong Kong/China because it includes the word “win” in it. In traditional Chinese culture, is believed to be lucky to give your child a name that includes a “success” word in it, hence the popularity of names like Winnie, Kelvin, and Vincent in Chinese immigrant circles (at least here in Canada). I find the name quite pretty, although it does remind me of Winnie the Pooh. […] tried to help a reader find a formal name for Winnie. The mom suggested Winifred, while the dad was all about Winsome.